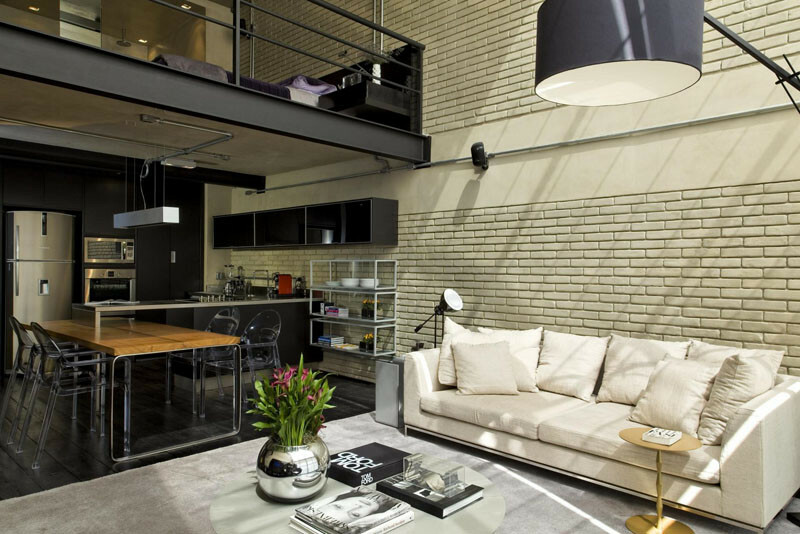 Diego Revollo Architecture have designed an industrial loft with masculine touches, for a man who lives alone in Sao Paulo, Brazil. 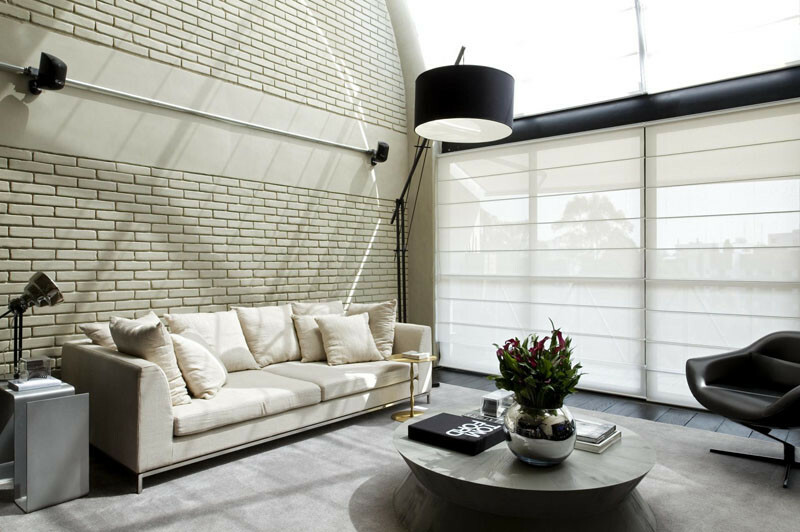 The loft’s walls are an off-white painted brick. 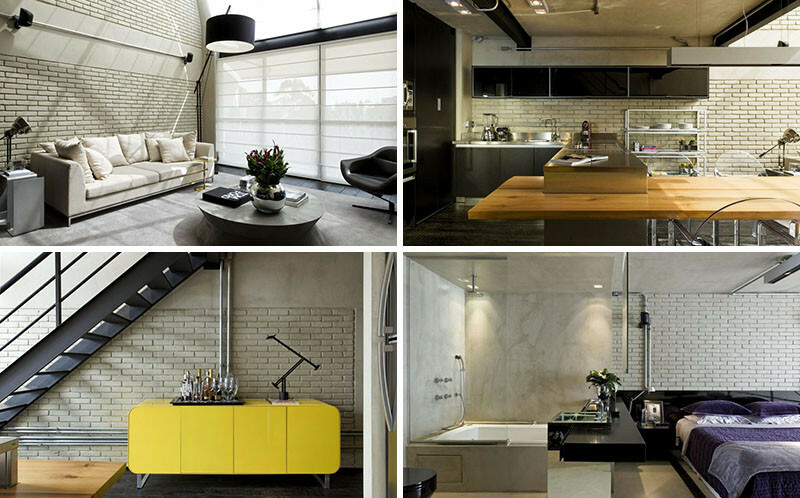 The main living space is open to the kitchen, creating a unified living/dining area. 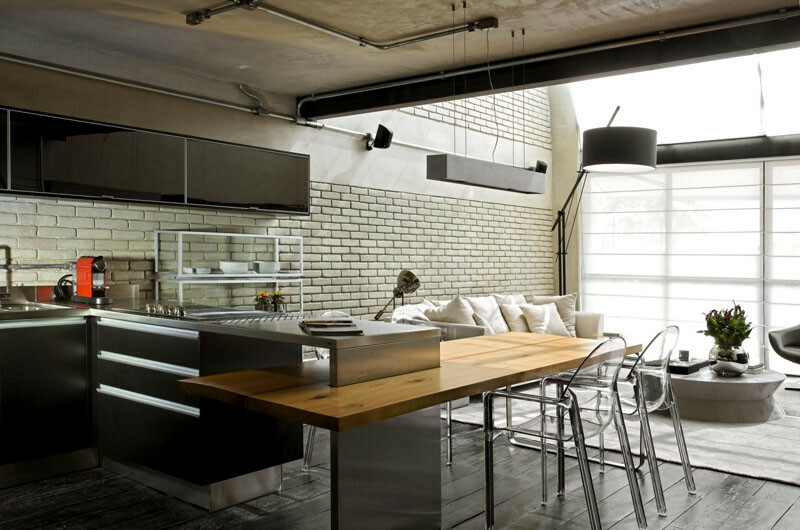 In the kitchen, a wood dining table is extended out from the countertop. 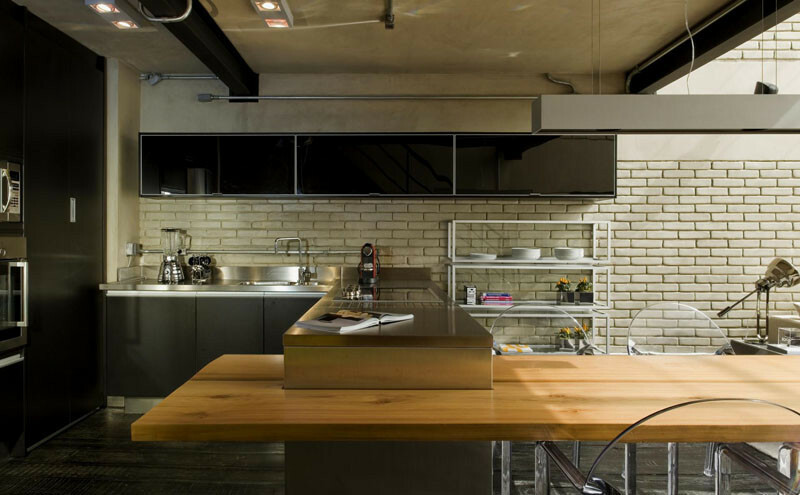 Open shelving and stainless steel kitchen counter-tops make the kitchen feel like a restaurant kitchen. 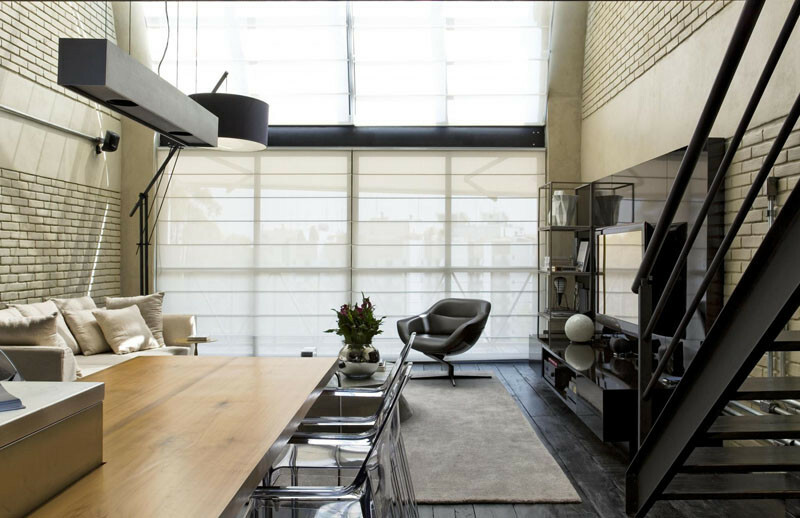 A large wall of windows fills the loft with natural light. 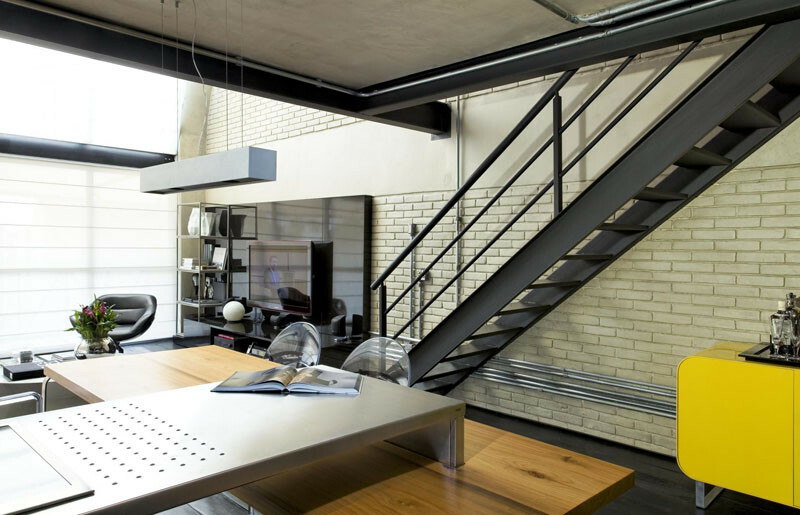 Black metal stairs, exposed beams, and conduit pipes add to the industrial look and feel. 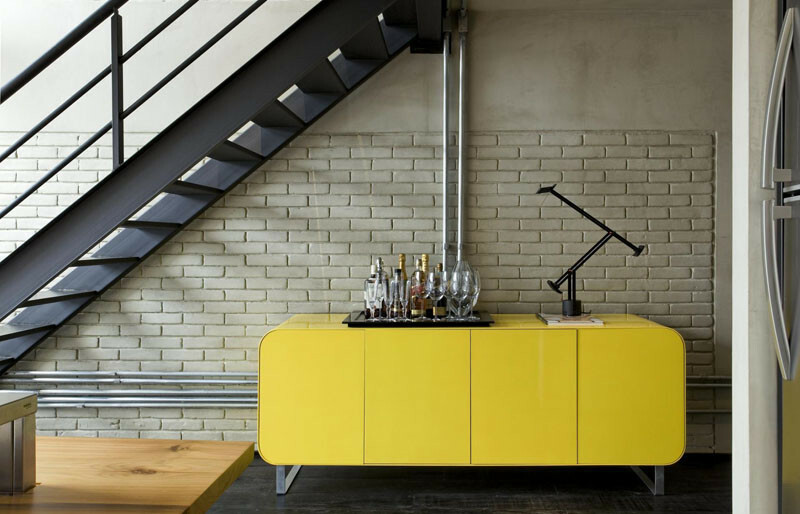 Pops of color, like this yellow sideboard, are limited features throughout the loft. 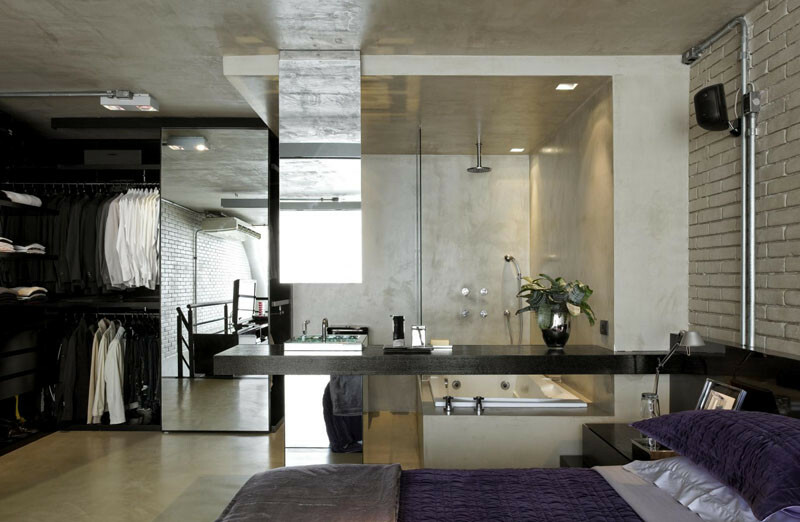 Here you can see the lofted bedroom, that sits above the kitchen. 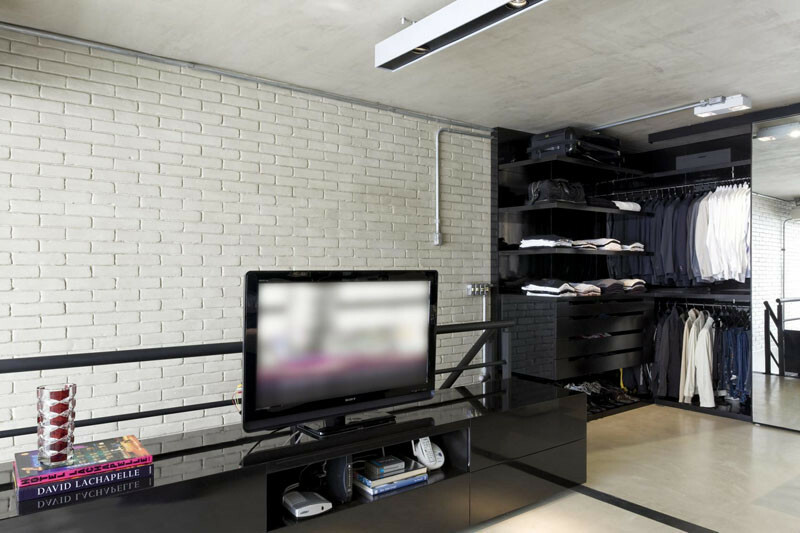 Heading upstairs, there’s an exposed closet, and entertainment console. 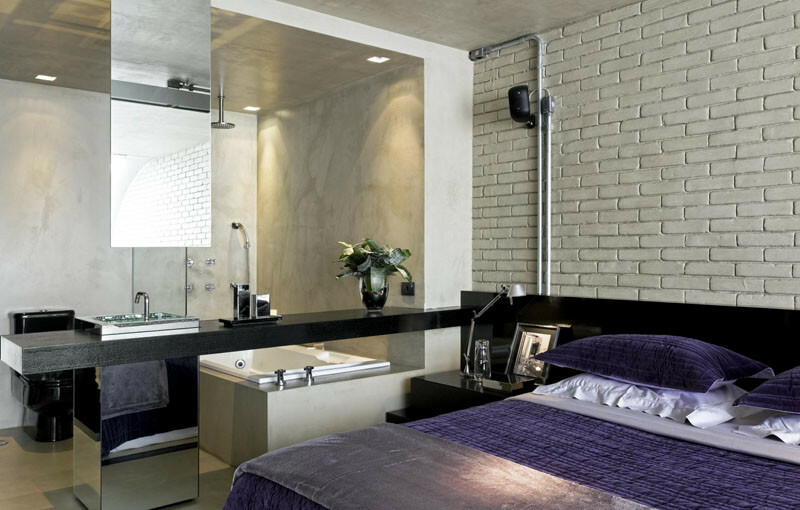 Next to the closet, is the bathroom, which has an exposed bath and vanity. 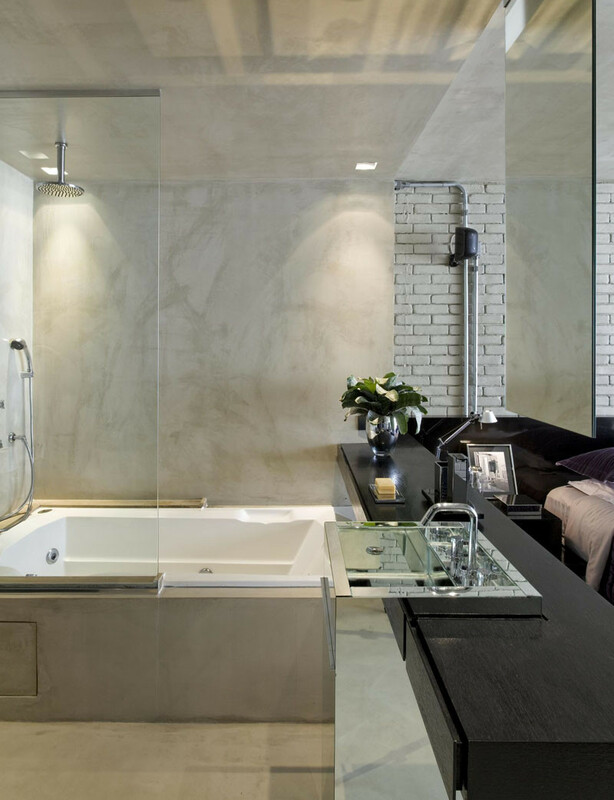 The bath area is separated from the bedroom, with a dividing vanity and hanging mirror. 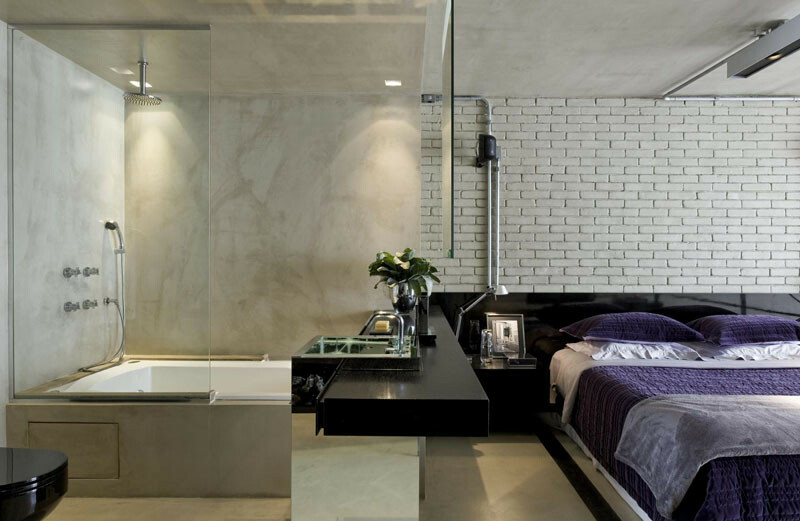 The bedroom features a custom-designed headboard made from ebonized Sucupira.